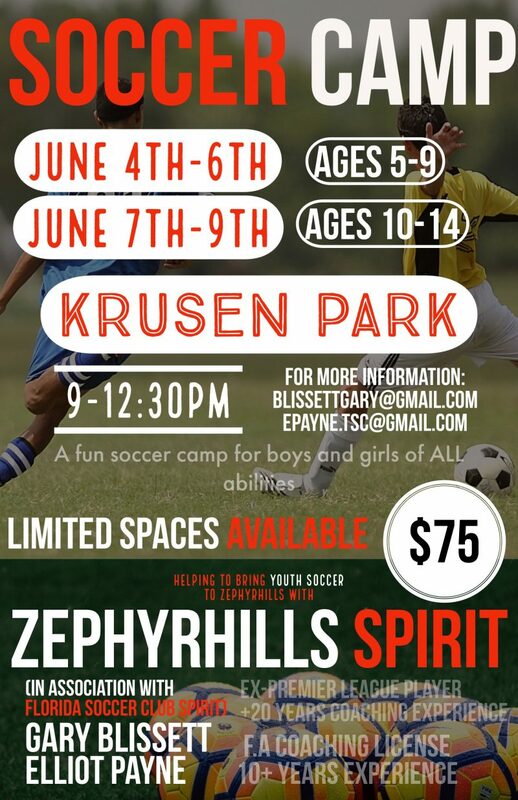 Spirit of Zephyrhills is excited to host our summer soccer camp the week of June 4th. 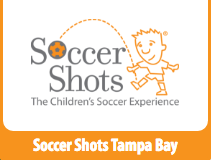 This camp is open to all boys and girls ages 5-14* and will provide a fun environment to work on technical skills as well as learn soccer by playing small sided games. Coaching will be led by Gary Blissett, ex-premier player with over 20 years of coaching experience. 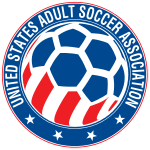 For only $75 players will receive top flight instruction in a fun atmosphere learning the wonderful game of soccer! Space is limited so reserve your spot by emailing blissettgary@gmail.com or epayne.tsc@gmail.com. *Check dates below for your age group. RSVP today by emailing blissettgary@gmail.com or epayne.tsc@gmail.com. Boys Teams Looking for Additional Players!